I'm going to be up front about this: I did not finish Joe DiMaggio. I meant to. Really. I just couldn't get into it. Which is not to say that the book itself is not a good one. It's incredibly well-researched, and Jerome Charyn is a skilled writer and biographer. Rather than simply regurgitating well-known (or even little-known) facts, Charyn inserts his own take on events where appropriate. He draws on myriad sources, quoting heavily when necessary and breezing through details when fitting. The book itself, part of Yale University Press' Icons of America series, is short, topping out at merely 146 pages, and thoughtfully organized, with sections dedicated to his pre-career days, his career, and a lengthy passage on his post-baseball days. It was the post-baseball days that lost me. Biography is a genre of which I'd like to read more, and baseball is a subject about which I wish I knew more, so the combination struck me as a good candidate. Perhaps it was too far outside of my comfort zone to really strike a chord with me; I'm sure a baseball enthusiast would be more engrossed. Or a biography enthusiast. 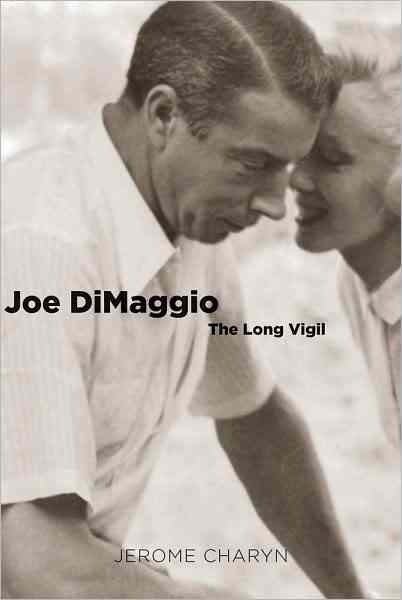 All in all, Joe DiMaggio is a short, concise biography that is sure to appeal to a certain audience; despite my best efforts, I found that I was not that audience. I'm looking forward to reading more of Charyn's work - it just won't be a baseball book. More Jerome Charyn at his website, on Twitter, and on Facebook. Many thanks to Nicole at Tribute Books for inviting me to participate in this tour and providing a copy of the book for review. Kerry - thanks for being honest and taking a stab at a book outside your comfort zone. Bravo for that! :) We all get stuck in a reading rut so I always like to hear when a reader takes a chance on something new. And I really liked what you said about the book - it is NOT a regurgitating of facts as most biographies tend to be. I'm glad you liked Jerome's approach to the subject matter and his writing style. I encourage you to try one of his other works - he is an author worth reading more of. Nicole - Thanks for inviting me to participate in this tour! I've actually signed up for the next Charyn tour (in June) and am looking forward to that. I was disappointed in Joe DiMaggio, but not because it wasn't good, just because I couldn't love it like I'd hoped I could.